George Katsuki passed away on October 2, 2013, at the age of 91. He was born in Turlock, California on April 11, 1922 to Fusajiro and Hisa Katsuki. The family moved to Tulare, California, where George graduated from Tulare Union High School in 1940, and attended Visalia Junior College. Following the bombing of Pearl Harbor, the Katsuki family was evacuated in May 1942 from Earlimart, California to the Fresno Assembly Center. They were transported to the Jerome, Arkansas concentration camp and arrived on October 30, 1942. When the Jerome camp closed, George and his family were transferred to the Rohwer, Arkansas concentration camp (19-12-B) on October 2, 1944. George Katsuki left the Rohwer, Arkansas concentration camp on November 12, 1944 to report for active military duty at Fort Smith, Arkansas. He was selected for Military Intelligence Service and graduated from the Military Intelligence Language School at Fort Snelling, Minnesota. Cpl. George Katsuki served with the Occupation Forces in Tokyo, Japan and the Kanto Military Government Region. He was honorably discharged in October of 1946. 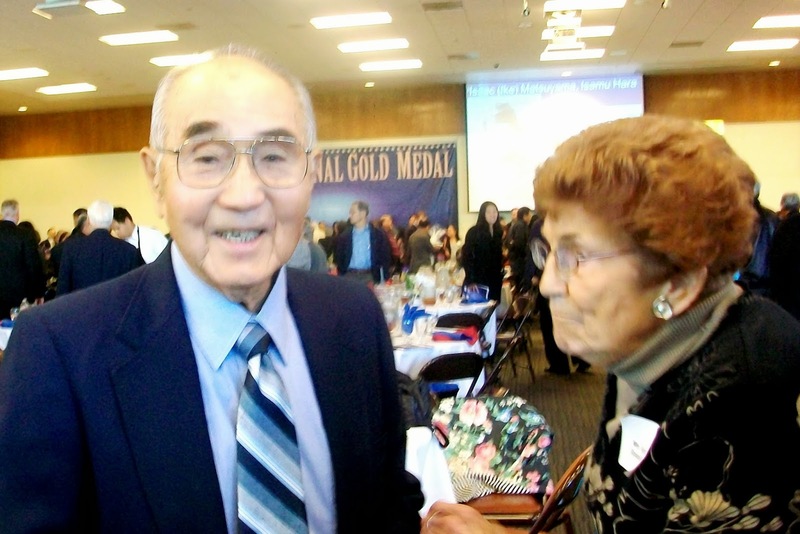 George Katsuki received a Congressional Gold Medal on February 19, 2012 for his service during World War II at the Central California District Council of the Japanese American Citizens League 's "Central California Congressional Gold Medal Ceremony" which paid tribute and honored the nisei veterans of World War II. After his military service, George settled in Dinuba, California, married the former Miss Kimiko Hamada and raised two daughters, and worked as a carpenter and cabinet maker for the Vetter Cabinet and Building Supply Company for over 40 years. He retired in 1996. George served as chairperson of the Steering Committee to organize the Reedley United Methodist Fellowship Church in 1954. He was church treasurer from 1975, until his death. George is preceded in death by his brother, Henry Katsuki. He is survived by his wife, Kimiko; daughters, Janet (Patrick) Mullen, Rose Katsuki and husband, Tim Walden; grandchildren, Loren Mullen and Colin Mullen; and his sisters, Sakaye Oba and Yuriko Togioka.